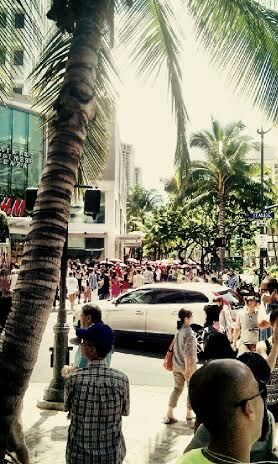 Thursday: Thousands lined up at the brand new grand Opening of the first H&M to hit Hawaii ever. I’ve been to many H&M’s in NYC and one in Chicago. 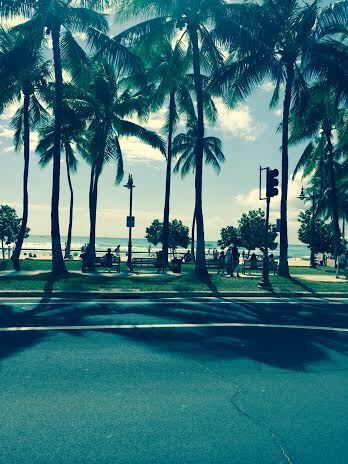 This is the first to come to Waikiki on the island of Oahu. I had to work on Thursday, thus I had a really good and thoughtful friend of mine down at the Grand Opening taking pictures for Streetzblog.com @scottmackenzie3 on twitter and streetzpix on Instagram. He said that Kalakaua had lines on both sides of it and that they were only letting 500 people in at a time. We said we would meet Saturday at Noon to check out the new store. 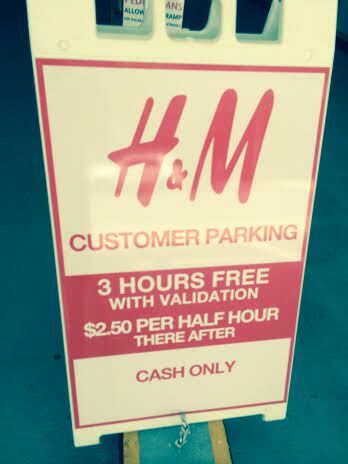 I parked at the Diamond Head side of Waikiki at the Zoo and walked to H&M, when I got there I found out that H&M has free validated parking right next door. All you do is buy at least one thing and they will validate for you. The Store is pretty big, has Dj’s playing upbeat fun music, the first floor is for women and the Second floor is for men. The Great part about this H&M is it’s the month of March and almost all of the clothes are perfect for a warm weather climate. Typically when I go to H&M its in December in NYC, the selection is quite different. I think they did a really nice job of picking climate appropriate clothes. 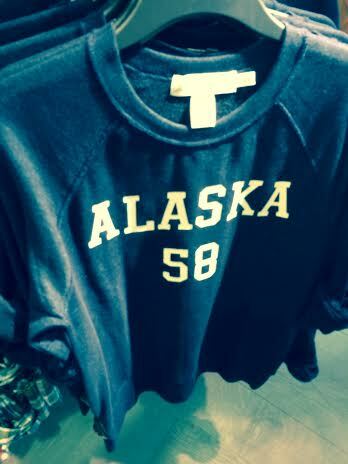 Although, they did have this very funny Alaska T, but I suspect someone put it there to be funny in a tongue in cheek type of way. I had quite a fun time in my Hour and 15 minute Mid-Day Shopping Spree. I picked up 9 items. Then budgeted it out a bit and ended up with 5 items for $139 with a $10 off card. 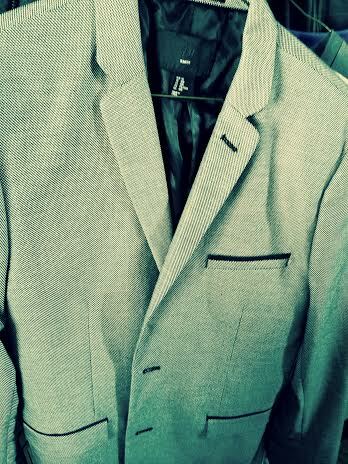 My 5 items including a $69 suit jacket that fits perfectly came to $129, quite a nice deal if I would say so. (Total Haul: Spectacular Suit Jacket, Purple/slate grey T, Long Sleeve Dark Grey/Black T, checked dress shirt with nice interesting inside stripes and a pair of crisp clean black slim tapered slacks to wear to dinner later in the evening. 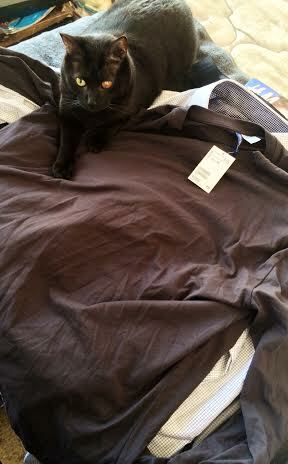 My Cat named Squirly even likes all of the fun clothes from H&M. If they ever get cat clothes, I’ll need to hook him up with something. I even received a special free gift hidden inside my shopping bag, that I retrieved in great delight when I arrived back home. 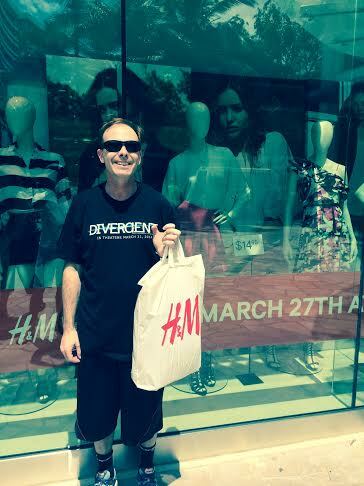 Here I am with my big bag of 5 items and my free gift-Thanks H&M in Waikiki, that was very nice of you! (Notice my lack of tan, but just wait until my dinner time shopping spree, you shall see a different look). Afterwords I went to have some lunch with my friends D and J, they don’t much like social media/blogs etc. They are two of the 8 people I know that don’t even have a Facebook account. Thus we won’t mention them by their real names, just their initials. 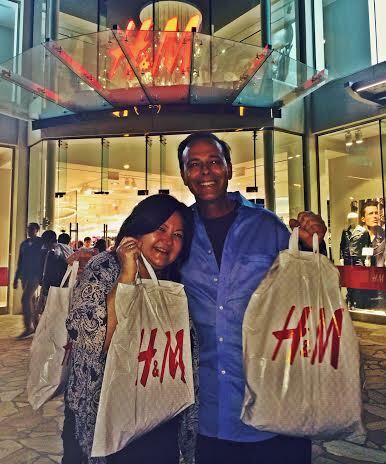 But I do thank them for the $10 discount card and accompanying me to the Big Saturday of Shopping at H&M in Waikiki. After, I went and played some basketball in the nice Hawaiian Sun, took a little rest and got ready for dinner. For Dinner I wore my new black fitted trousers, the Purple/slate grey T-shirt, and an older medium blue long sleeve shirt I bought at the Chicago H&M about 8 years ago. I noticed it just started to fit me again. Must have lost some weight when I was at the hospital in January. Well, actually I did, about 14 pounds. Just surprised I’ve kept it off, good thing is somethings fit really well, bad thing is most of my work clothes are pretty baggy. At Dinner Sharen and Gail said they wanted to go to H&M. Me, being the Shop-o-Holic that I am, I said; Oh for sure. I’ll just go on a $25 budget .. HA! So at 8:10 p.m I returned to H&M in Waikiki. We said we would stay from 8:20 until 9:00, we stayed until 9:25 just a tad bit over time. I ended up getting the pants to my suit jacket and I tried but couldn’t resist a pair of sweats with zippered pockets. My Bill was around $70, not nearly as fun as 5 things for $129. But too hard for me to resist. For me, the best way not to shop is to stay at home. I went January thru Today without shopping for clothes or shoes, a couple weekends, I either stayed home, went to the gym, yoga or the beach to stay out of the stores. And I also didn’t go to any of my favorite on-line shops during that time. So I guess all is well in ShoppingLand. They did have some great Grand Opening prices. some kicks were $10, some shirts $15, they had some basic T’s for $5,95 and a bunch of Cali T’s for $6.99. I think day one would have been the best day for the $10 and $20 shoes, most of them were gone, only 8.5’s and 11.5’s left when I was there at Lunch and even less after dinner. I also noticed they had camo pants at lunch, but none left by Dinner. Sign up for H&M on Facebook. They will mention special sales. 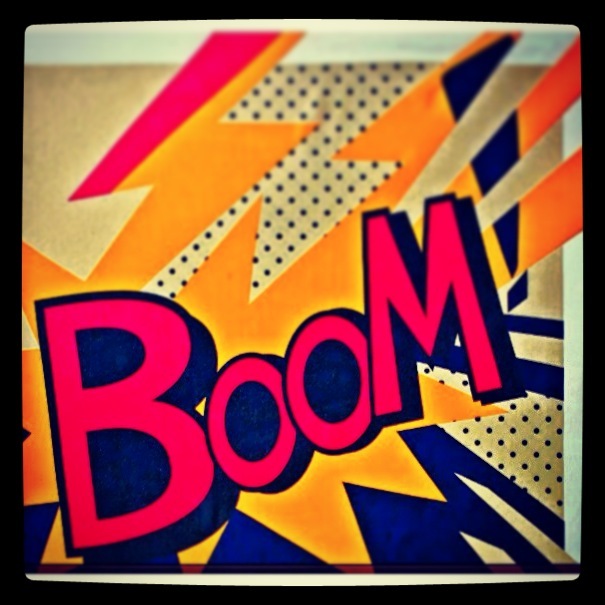 Also sign up for the newsletter to get special prices and special event details delivered directly to your email address. Parking is free with a purchase and lasts THREE hours, that is some of the best parking in Waikiki, I sure hope it lasts! Here’s a fun one: Bring in Two bags of your old clothes and get a 15% off coupon for each bag you bring in, and get this each bag just needs a minimum of 2 pieces of clothing in them. He said that they re-purpose the materials for new clothes, how cool is that! I will for sure be doing this in the near to late future. He also said the grand opening party was Lots of fun and re-assured me that Beckham did not attend. I would have been even more upset if I missed him. 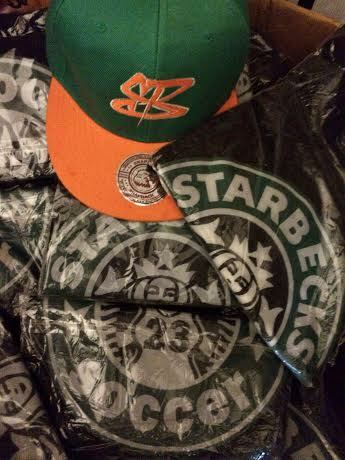 I still need to give him some of my own Starbecks shirts. When I shopped with D and J, I noticed they didn’t buy anything. I said hey whats up? Guess what they sneakily went to H&M on Thursday evening and filled up their bag of goodies. Hmm. When I shopped with Sharen and Gail, I get outside to see what their big hauls were. 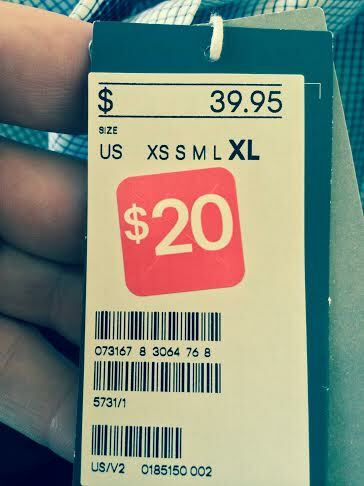 Sharen had ONE $6.99 T for her husband and a ONE black top for herself. Gail had ONE beanie for $3, a warm weather cap for $3 and some other little trinket for $1, she spent a whopping $7. I guess I do like clothes and kicks more than the average person, didn’t know it was that different. But I do know, I typically have way more clothes and shoes in my condo than Food. 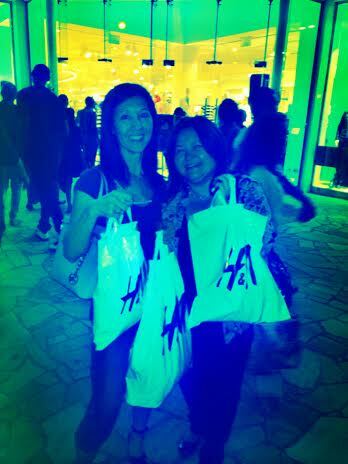 Gail and Sharen with their Big Bags of H&M Gear: (Yes, you can guess it easily, the Biggest Bag is mine). 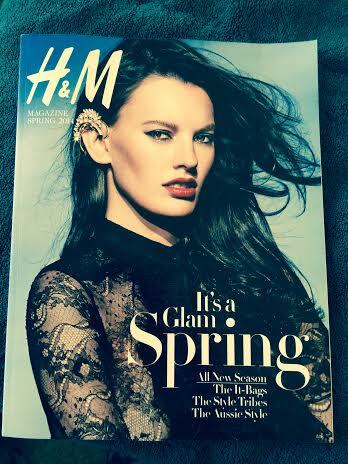 I think that about covers the first few days of the brand new H&M in Waikiki on the island of Oahu. Let’s see how long I can go without going back. I kinda’ liked having H&M further away from me, it’s just so tempting especially when I come out with big bags of goodies for less than $150. That is the best and most fun way to shop! 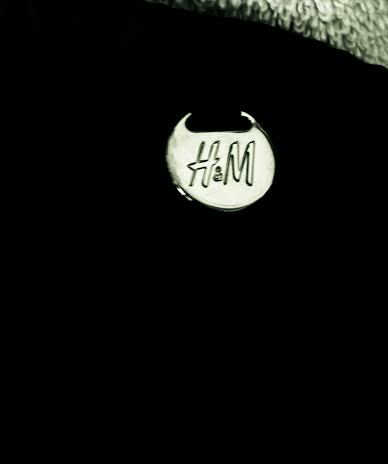 Do you have an H&M where you live? 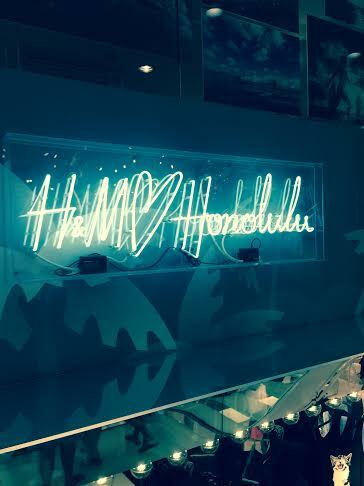 Did you go to the H&M in Waikiki? What did you buy? Also, If you ever need anything from H&M in Hawaii, just hit me up, I love to shop, so no biggie for me, just let me know what you need at scottmackenziemedia@gmail.comHope you have a nice sunny? Sunday or at least a relaxing Sunday. See you on the Streetz or maybe at the Beach. 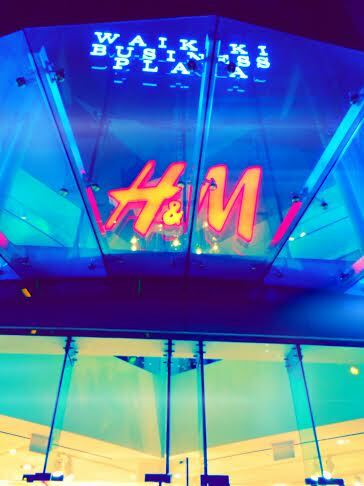 Tags: #HMlovesHawaii, Clothes, Fashion, Fast Fashion, H&M, H&M in Hawaii, H&M Opening Weekend in Waikiki, style, What is H&M in Hawaii like?